In August of 2012, the Supreme Court ruled that the Government is liable to pay compensation to Vince and Cherie Rose because the Mayan villagers of San Marcos Village burnt down their crocodile compound outside of PG Town. Well, the Government appealed that decision and lost today, which means that the Court of Appeal has upheld that liability. 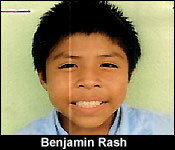 Viewers may remember that in August of 2010, 9 year-old Benjamin Rash and his 11 year-old sister, Onelia, went missing. 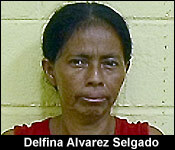 After over 2 weeks of searching for them, a "witch doctor", Delfina Alvarez, allegedly gave the Rash family information that the siblings were being held at the Rose Family's crocodile facility in Forest Home Village, Toledo. On the day in question, approximately 100 armed villagers visited the Punta Gorda Police Station and demanded that police accompany them there. They ended up going by themselves, and because police didn't show up when they said they would, a small group went on the compound and burnt it down. Police arrived after the fact, detained the mob, and disarmed them at the PG Station. 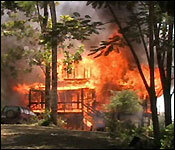 By that time, however, the American Crocodile Sanctuary was completely burnt down. Today, Government Crown Counsel Triena Young, argued Justice Oswell Legal made errors in fact and law that the Government should be held liable under the Riot Compensation Act. 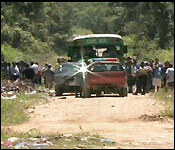 "The main submissions of government were that what happened on that date September 5th, 2010 was a fire at the Rose's Crocodile Sanctuary in Punta Gorda and what government has submitted is that it could not be a riot because either there were less than 5 persons who actually caused the damage or the persons who did caused the damage were not with the Mayan villagers at the time. 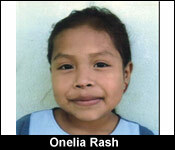 We recognized that these Mayan villagers were searching for two missing children. I am not sure that these children were ever found but we do believe that they acted in this way because of a fortune teller who had given them some information that the children were on that property, so they completely burnt down the Rose's property. The court this evening passed its judgment, it did not agree with the counsel for the appellants and order that the judgment of Legal J in the court below be upheld, so the Rose's are successful this evening." 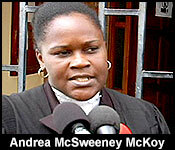 "Could you expound on the riot act that the complainants went after government with?" "That's a very good question because people will wonder whywould government have to compensate when private citizens committed a wrong. The riot act says that where 5 or more persons are gathered they form a riotous assembly and they have a common purpose, it could be a lawful, it could be any common purpose and they then proceed to damage another person's property government would be liable. The rationale as we have found in our research is that the authorities should know when something of that nature is about to happen and they should take steps to deal with it. In this case we agree that the authorities were aware and that more steps could have been taken to prevent such an event." Government and the Rose Couple will have to go back before the Supreme Court to settle how much the state owes them. They're claiming that they lost some $907 hundred thousand dollars in property.